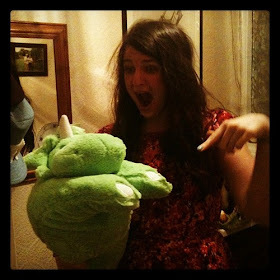 t*rexes and tiaras: a few of my favourite things.. 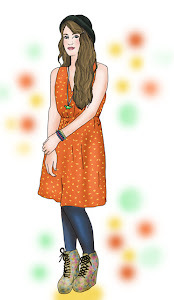 I thought I'd pressed post yesterday but it doesn't look as though I'd managed to, so here is a round-up of days 14 and 15 of the May FBlogger challenge in one go. Day 14 is the item which was the hardest to track down, for which I would have to mention my favourite ever pair of shoes. I love these shoes so much, and was over the moon when I finally found a pair in real life, rather than just as the response to an image search! 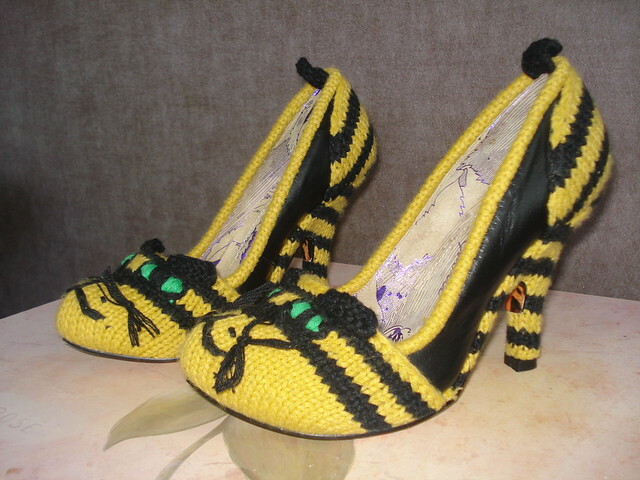 They are really special to me, so much so that I've not yet found an occasion special enough to wear them. Usually I would think that was daft and that I ought to get rid of things which I won't wear often, but for these I make an exception. Does anyone else have anything like that? 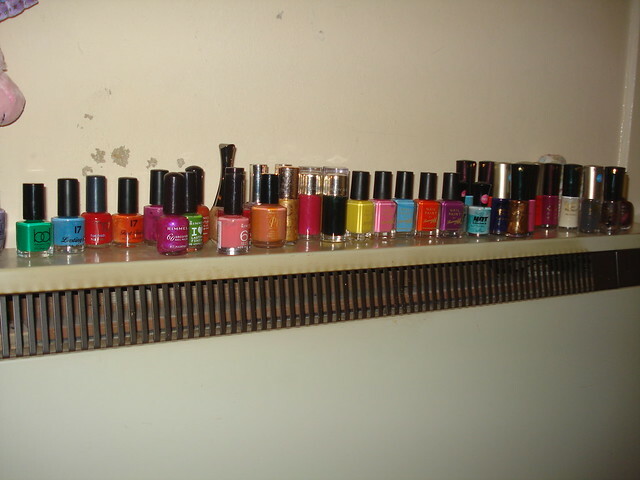 Day 15 is all about nail polish, so I've included a photo of my collection. I wish I was less hopeless when it came to painting my nails. In fact it's quite fitting that Selina be the one who mention this, because she talks of nail art and I've always been in awe of her lovely nails. I'm lucky if I manage to get around to painting my own more than once a month, so I've banned myself from buying any more nail polish - it'll dry up before I have chance to use it! The outfit post is what I wore yesterday, for the most ridiculously crazy day of work I've had for a long time, one thing after another went wrong. 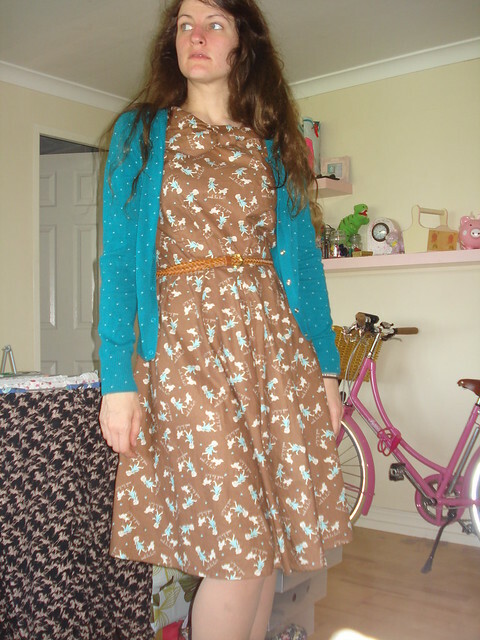 The dress is one I made to a favourite pattern of mine, although it doesnt' fit me as well now as when I made it. That's an annoying thing about losing weight and changing shape as a result. 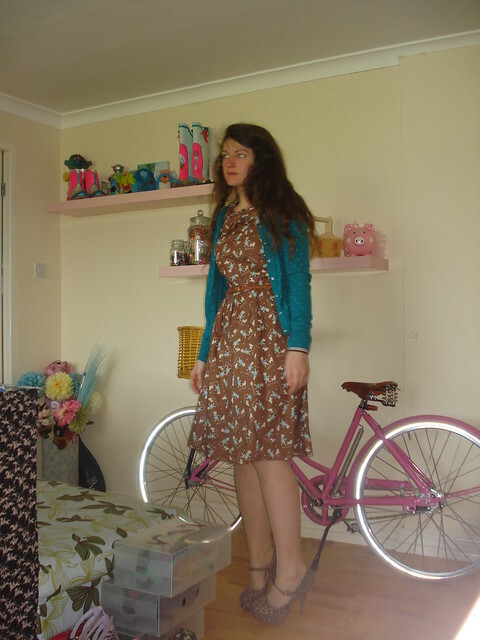 I thought the cardi would pick out the colours in the fabric, and played it kind of safe with the colour of the heels, despite the fact they're mixing another pattern into the outfit. I liked the way they came together, kind of. Those shoes are amazing! Never seen anything like them!